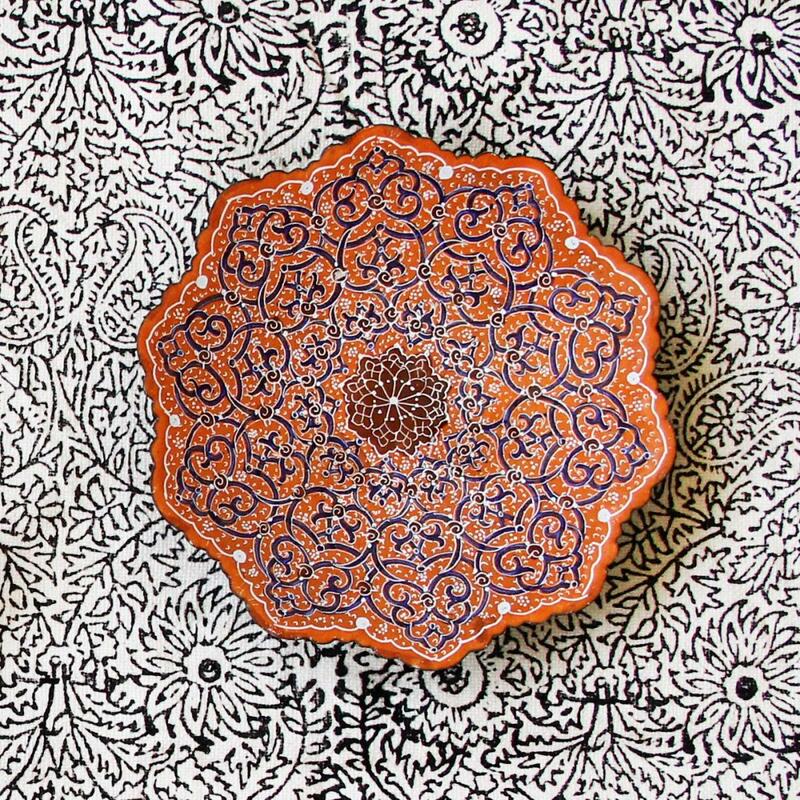 Mandala designs are applied in Persian art and architecture frequently. Here we are going to introduce Persian mandalas, their meaning, and characteristics. What we know about a mandala is that it is a geometric design and a symbol in Buddhism and Hinduism. In general, mandalas represent the universe. Mandalas are usually used to increase focus while meditating or doing yoga. In home décor designs, mandala tapestries, paintings or tiles can be hanged on the wall or used as a tablecloth or for bedding. In some cases, mandalas are used in decors because of their magnificent patterns and symbolic meaning for peace. Mandalas are very much engaged with home décor styles such as bohemian, hippie and gypsy in the modern design world. 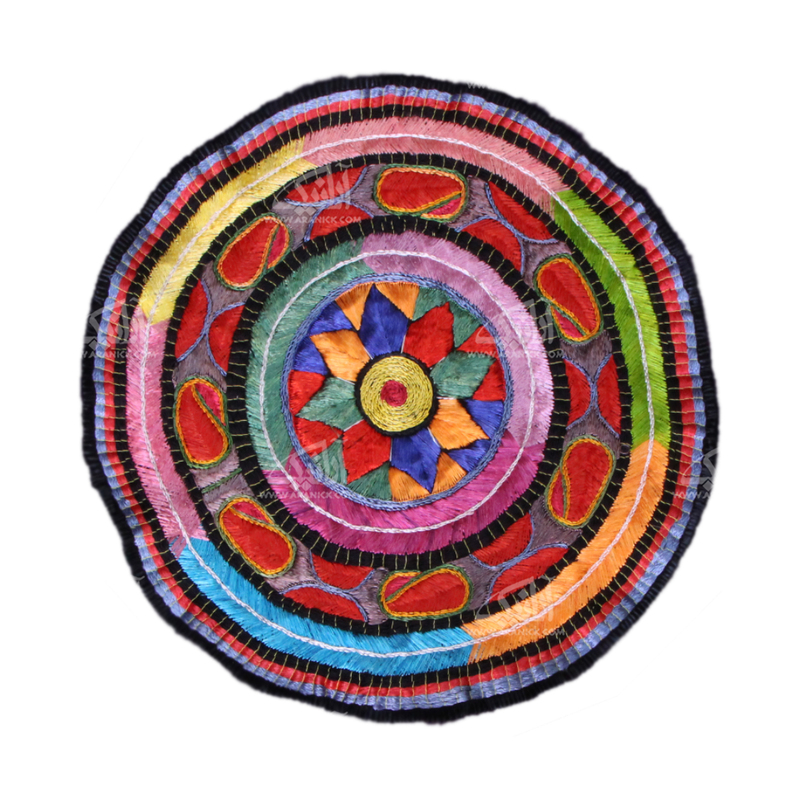 Where do mandalas come from? Most of us might think mandalas root back only to India and Buddhism while there has been a wide use of mandala designs in the history of art in other religions and areas as well. 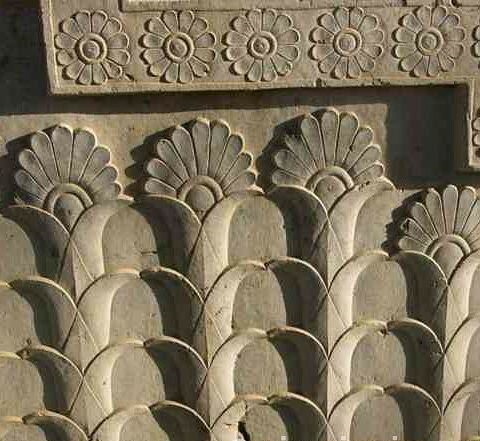 In Persepolis which was the ceremonial capital of the Achaemenid Empire in Persia (Iran), we can see lotus motif applied for decorating walls frequently. Persepolis dates back to 515 BC. Achaemenid Empire had a wide geographic scope and many interactions with other neighboring civilizations at that time. Achaemenid kings employed many architects and artists from those neighboring areas like India and Egypt for building Persepolis. Researchers believe Indian and Egyptian designers have influenced Persian art and imported lotus motif to Persian architecture. As we know, the lotus is a symbol of spiritual growth and awakening. It has roots in mud while it grows facing the sun, so it symbolizes the purity of mind and the battle with ego. After that “Shamseh” motif which was a symbol of the sun entered Persian art and architecture with the arrival of Islam in Iran. Sun is the symbol of divine light and the energy of life. “Shamseh” is also a symbol of unity in plurality in Islamic theosophy. Shamseh, meaning the sun, is a Persian motif. Shamseh motif has been widely used in Iranian and Islamic arts and architecture especially since the arrival of Islam. Shamseh has different shape and form in different art categories. But what is common in every shamseh motif is many rays around one center. The rays symbolize every creature in the universe, and the center symbolizes god. It means that there are many creatures in the different levels of closeness to God in the universe who have an innate tendency to reach God. It is also the meaning of the unity which is an essential concept in Islamic philosophy. When the creatures reach the center, they become one with God. Therefore, Shamseh has the same design and meaning as a mandala meaning unity and harmony. Shamseh motif was wildly applied during Safavid time in Iran. Safavid was one of the most important ruling dynasties of Iran in art, architecture, astrology, philosophy, and theosophy. 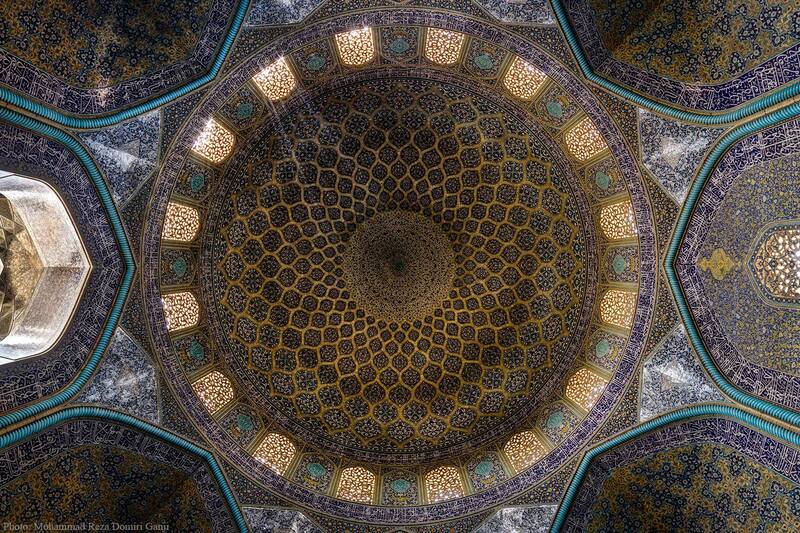 An extraordinary example of Shamseh motif would be the tiling of the ceiling of Sheik Lotfollah mosque in Isfahan. 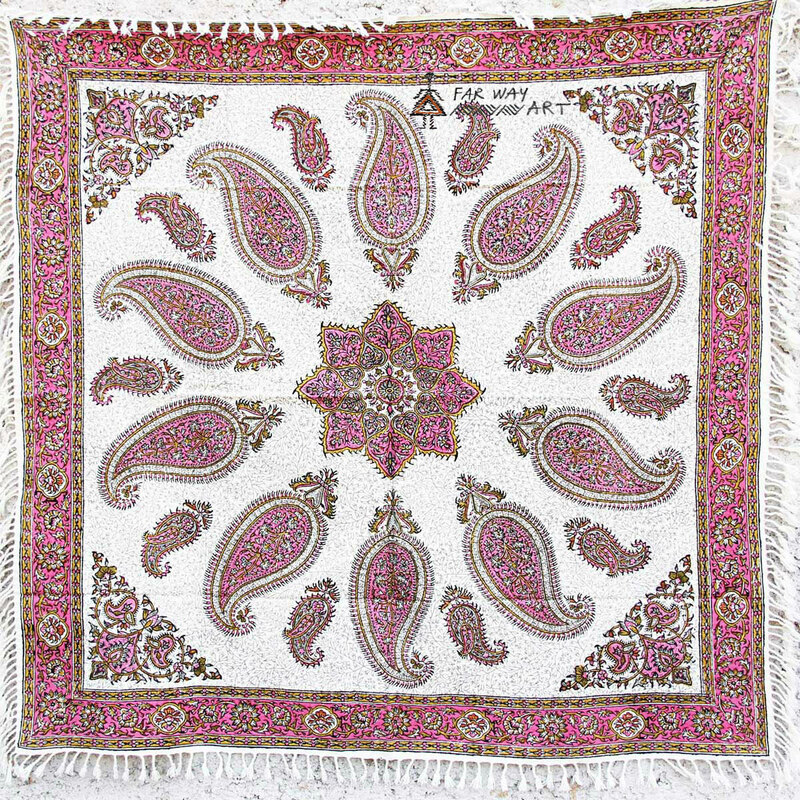 Shamseh is also applied in Persian ethnic art and architecture for example in the different types of hand embroideries, Meenakari, tiling, and woodwork. 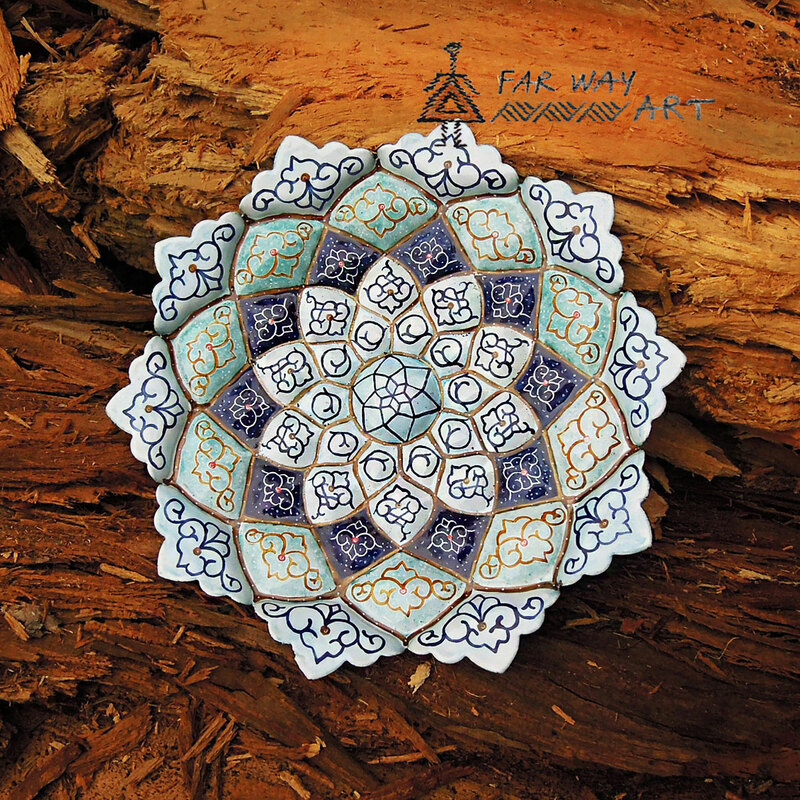 Khatam-kari is the Persian art of inlaying small pieces of wood. 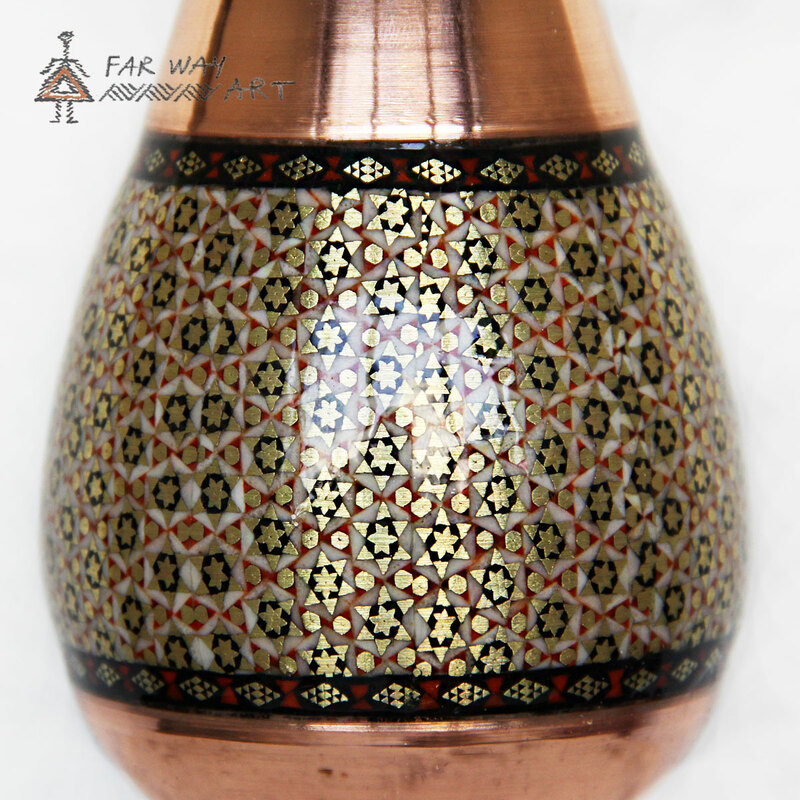 By this technique, the artists make luxury and beautiful decorative products such as sugar bowls, vases, boxes and so on .The most common motif of khatam is a six-point star which is a simplifies mandala. In Persian meenakari, which is the art of hand painting and enameling metal, Shamseh mandala is found as flowers and ivy and plants growing around the center which is a flower or a polygon. 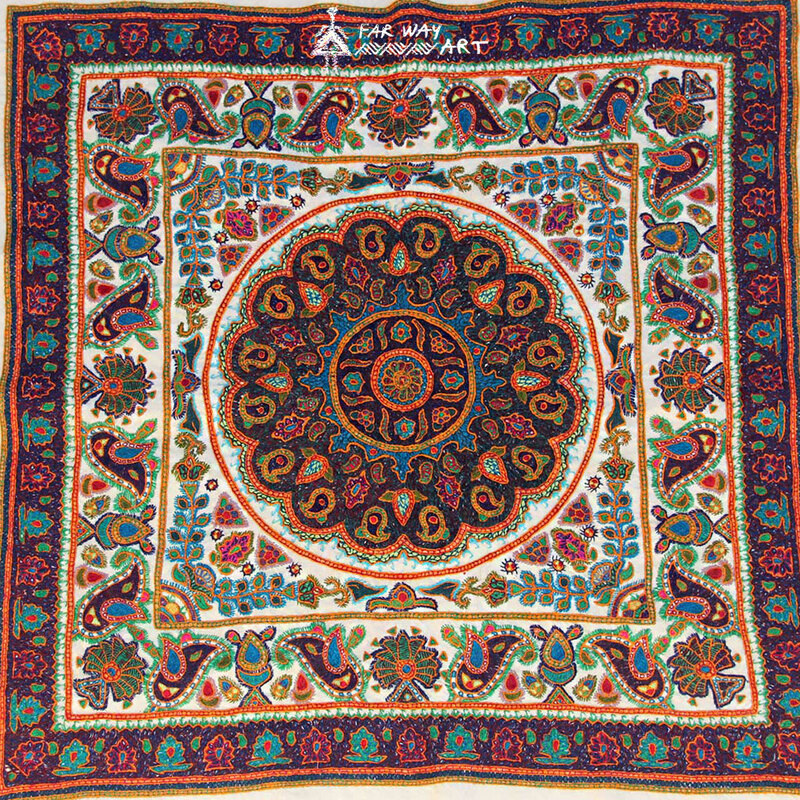 There are many different types of ethnic textiles in Iran, and the mandala motif is their main design, although it might be a little different in each of them. 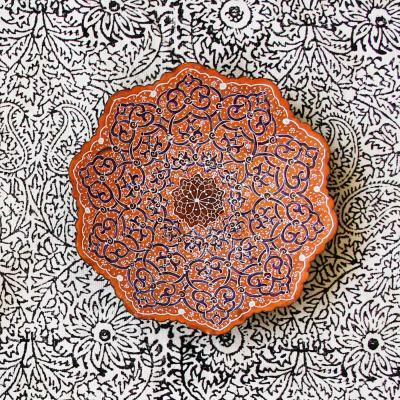 Mandalas have been simplified in different Persian arts as well as in hand embroidery art. They have become a five, six, eight or twelve point star in some cases. Each of these mandala stars was used symbolically for religious reasons. Pateh is an ethnic and historical Persian hand embroidery in which the artists sew almost all the surface of the fabric with wool thread. Mandala is the most common motif in Pateh. Pateh motifs are either tree of life in different forms, birds and flowers, or mandalas. The artist chooses the fabric and colors so in most cases the Pateh mandala hand embroidery comes out very beautiful and intricate. 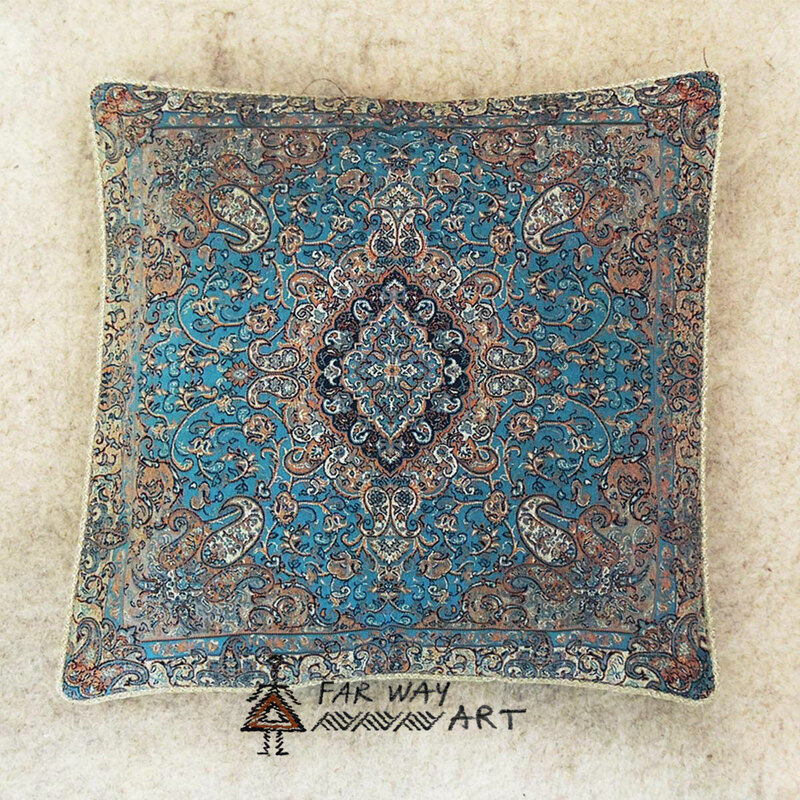 Persian hand block printing is one of the ethnic textile arts of Iran based in Isfahan. Mandala design is less common in Persian traditional hand block printing that other textiles arts. Although nowadays, artists are becoming more interested in mandala design and use it in their hand-printed textiles. 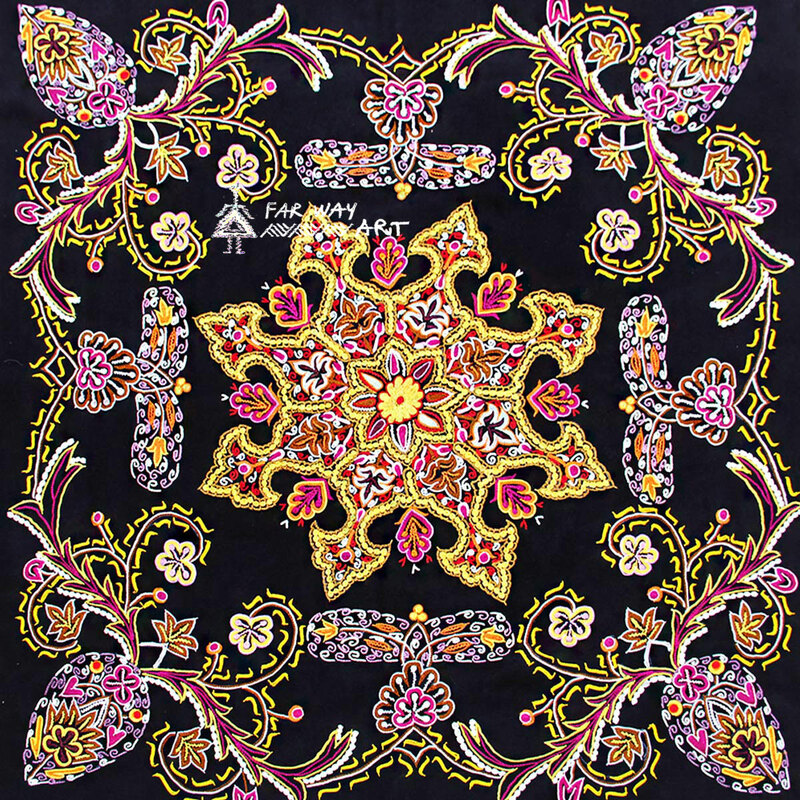 Mamaghan Suzani is a Persian folk hand embroidery using silk thread on black fabric. Mamaghan Suzani is a Persian folk hand embroidery using silk thread on black fabric. All the fabric's surface is sewed in Mamaghan Suzani. Mandala designs are simplified to star motifs in this Suzani. Termeh is a luxury and time taking handwoven textile from Yazd, Iran. It has a few designs with specific names. Among all Termeh’s designs, some of them are mandala motifs like Homayouni, hasht-beshest, Golestan, Khurshid, Golestan, Khorshid, Tisfoun, Bakhtiari, and Afashari.